Wondering where to stay in Washington, DC? 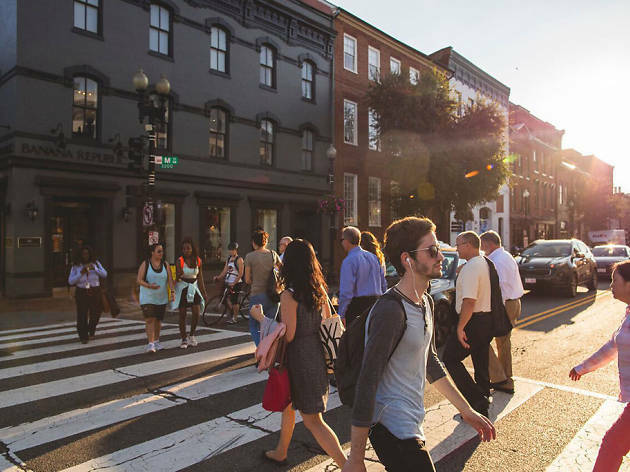 We highlight the pros and cons of the capital’s top neighborhoods. Planning a trip to DC? Good call. 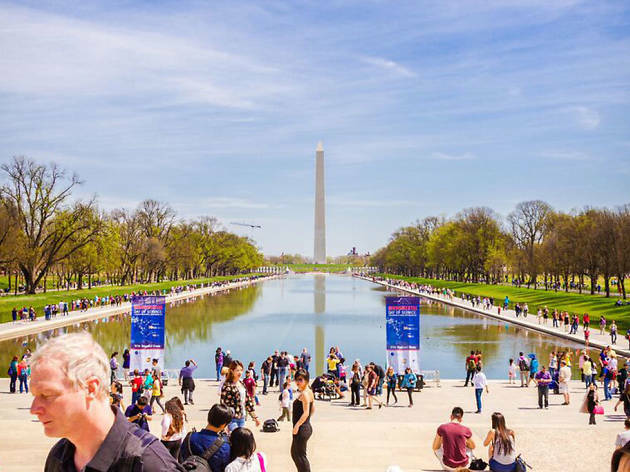 The District is packed with free, cheap and family-friendly things to do to keep visitors busy. The city is broken into four different quadrants that are made up of distinct neighborhoods, each one promising history, art, food, drinks and so much more. 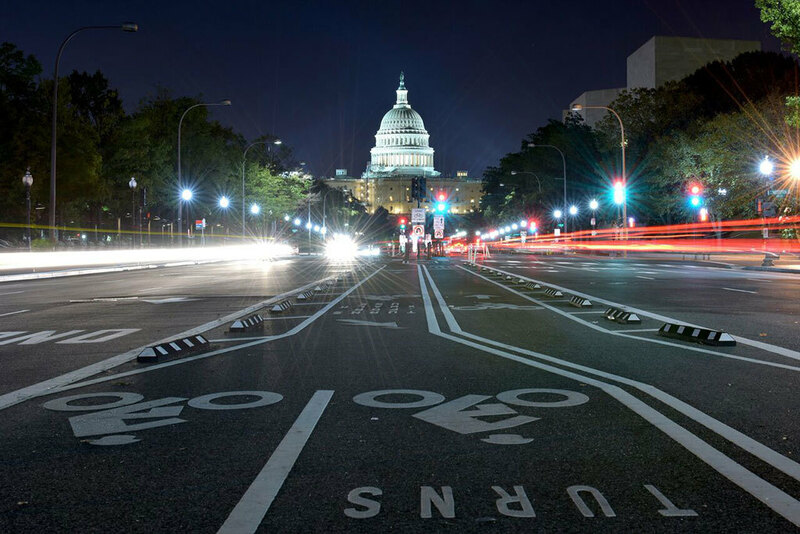 Following are a few of our favorite neighborhoods (complete with pros and cons for each one), so you can better decide where to stay in Washington, DC on your next visit. Plus: Hotel picks for each neighborhood. Yes, this central neighborhood is best-known for its late-night jumbo slice and rowdy revelers. But Adams Morgan has recently cleaned up its act and welcomed gourmet restaurants and boutique shops to the mix. There is no shortage of bars to choose from. Mintwood Place offers a more refined setting for classic cocktails, while Madam's Organ is notorious for drunken shenanigans and live music. On weekends, sidewalks can be clogged with young guns who haven’t yet learned to hold their liquor. Additionally, the nearest metro stop is a bit of a hike. Check into The LINE, a beyond swanky, uber-cool hotel housed in a converted church. This is the place to see and be seen when it comes to D.C.’s hipster set. Shaw’s slick bars, shops and galleries make it the cool new kid in town. 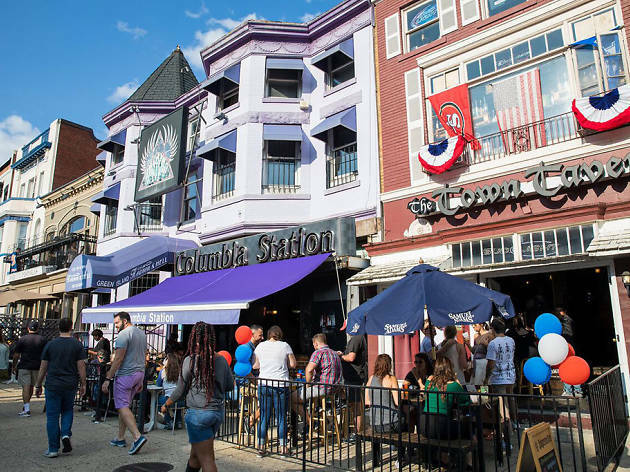 The neighborhood is rich in local African-American history (the Howard Theater hosted such musical acts as Ella Fitzgerald, and the African American Civil War Memorial is steps from the metro) and draws a trendy crowd. 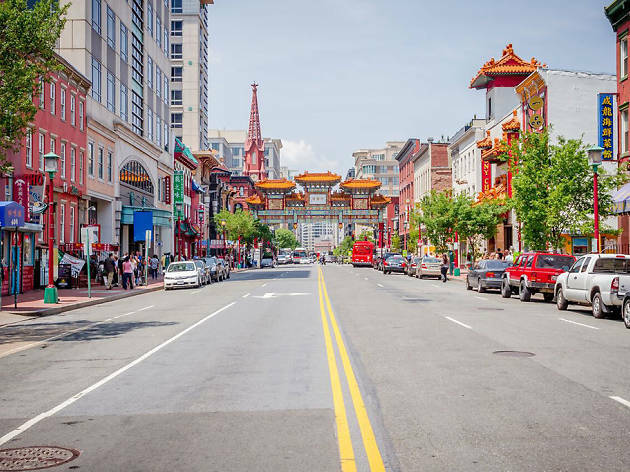 The neighborhood is conveniently located near the Mall (just a straight-shot down Seventh Street) and buzzy Columbia Heights and Logan Circle. Reserve a room at Cambria Hotel and Suites, a stylish, comfortable and amenity-packed hotel with a great rooftop. This historic area draws visitors for its quaint cobblestone streets, boutique shopping and European flair. 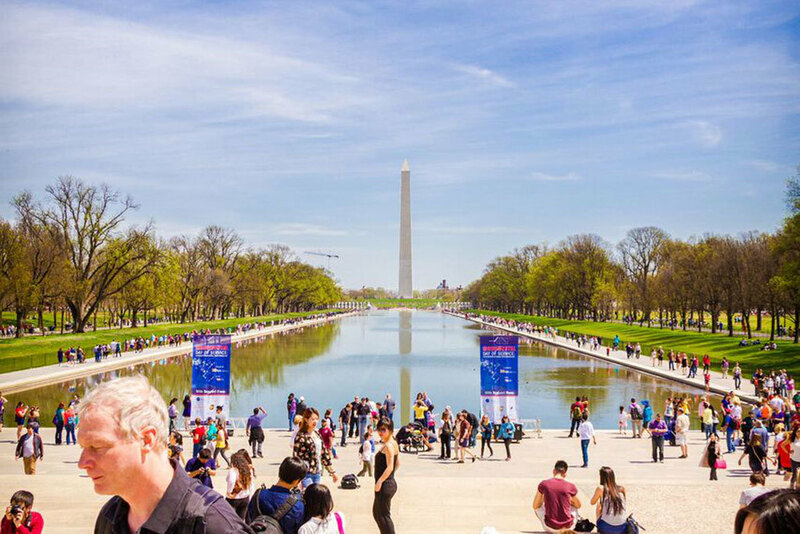 It’s quintessential D.C. and tends to attract a political crowd. 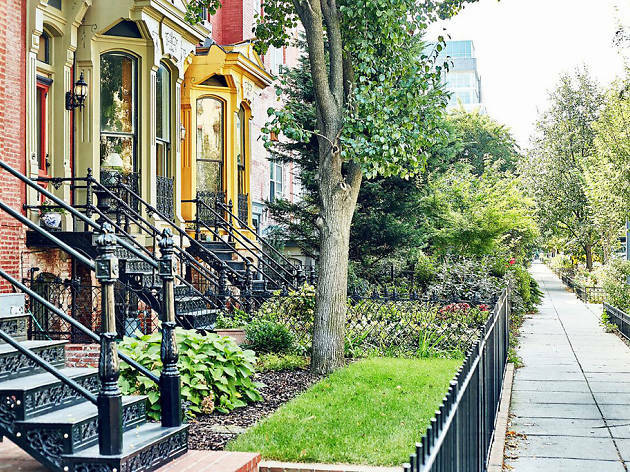 A walk around the neighborhood reveals some of the city’s most beautiful townhouses and manicured gardens. We're huge fans of & Other Stories' classic-meets-contemporary clothing, along with the off-the-beaten-path boutiques in Cady's Alley, a charming shopping enclave hidden from the bustle of Wisconsin Ave. For a light bite, stop at Chaia tacos, where handmade tortillas are loaded with all-vegetarian fillings. 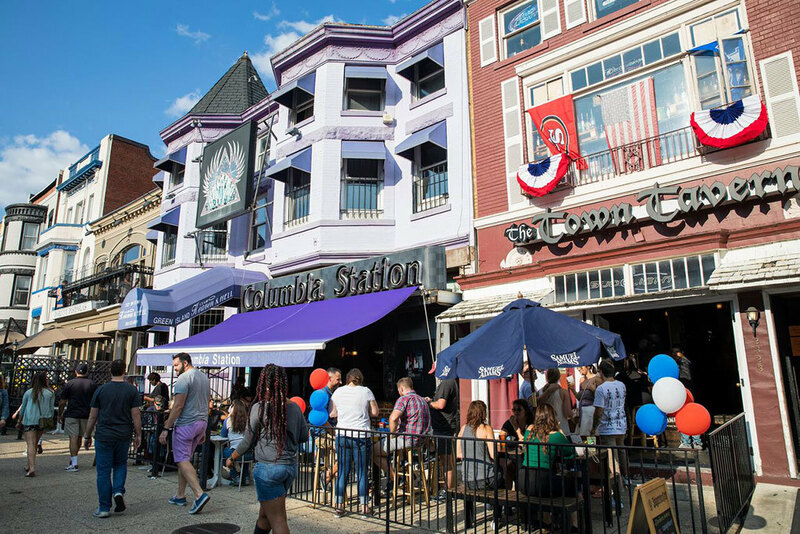 Like Adams Morgan, Georgetown lacks a metro station, though there are a number of bus routes that service the neighborhood. A lot of the restaurants and shops are also rather pricey. Drop your bags down at Graham Georgetown, where the 360-degree rooftop views are postcard-perfect. Home to the United States Capitol, Supreme Court and Library of Congress, Capitol Hill is the seat of the US government. If you post up at a cafe here, you’re likely to overhear some hush-hush details that should probably stay behind closed doors. 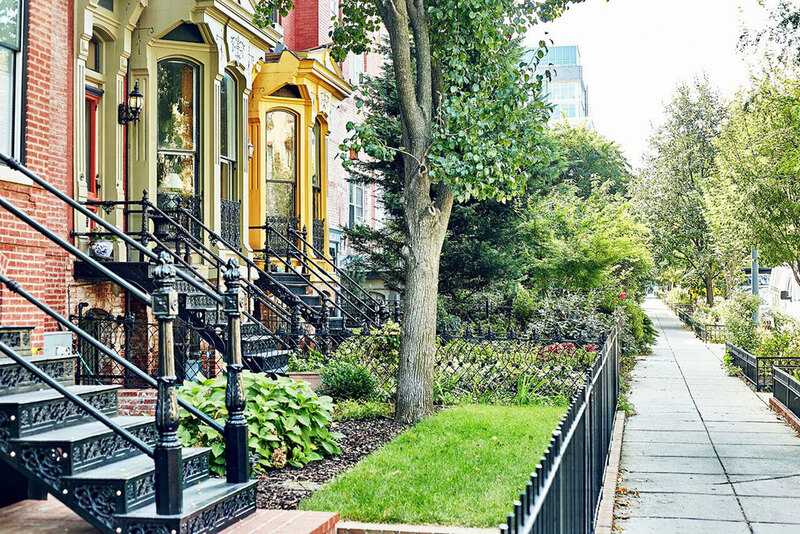 A concentration of townhomes and families make Capitol Hill charming as can be. 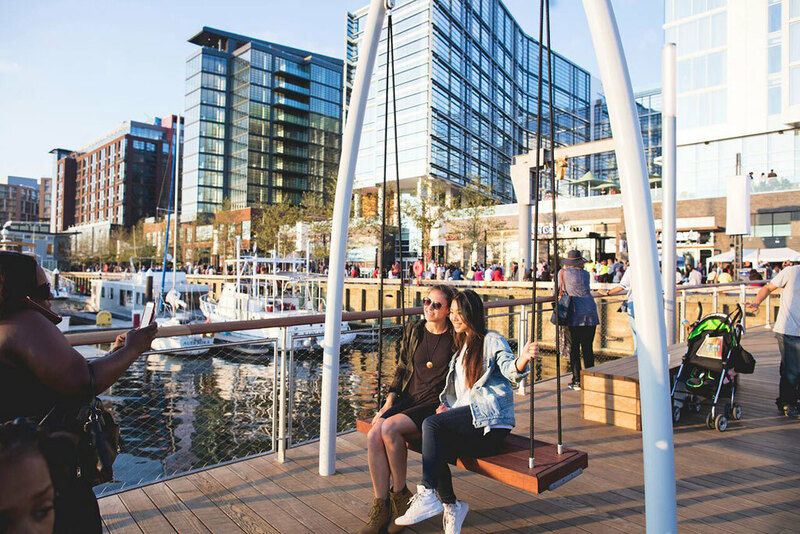 Proximity to the historic Eastern Market, filled with local food vendors and makers, means this neighborhood is a well-rounded choice for visitors of all ages and interests. It’s a bit outside of the center of town so accessing other parts of the city can be a trek. Stay at the Capitol Hill Hotel, a boutique hotel with great decor and oh-so-comfortable beds. 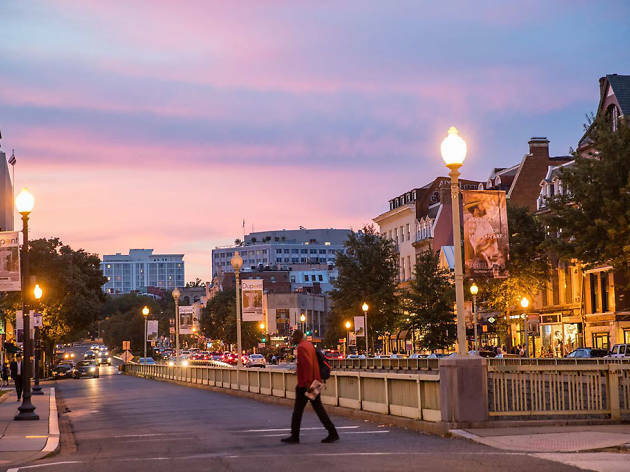 Perhaps D.C.’s most popular neighborhood, Dupont Circle is beloved for its convenient location and long-standing bars and restaurants that draw regulars. It also happens to be a top destination for the city’s gay community. A number of independent art galleries, fantastic restaurants and buzzing restaurants pepper the neighborhood’s streets. Fans of art will appreciate the Phillips Collection, where Pierre-Auguste Renoir's "Luncheon of the Boating Party" is on display along with a room filled entirely with Mark Rothko paintings. For a glass of champagne and an equally bubbly atmosphere, head to Bistrot du Coin, a long-standing French restaurant and bar that's always humming. You can't beat the burger at Duke's Grocery and just next door are a concentration of the city's crown culinary jewels: Komi, Little Serow and Sushi Taro. Catch the Sunday farmers market if you can. If you're driving, expect plenty of congestion due to the busy traffic circles. Weekends tend to draw a young crowd, so be prepared for the bars to get packed and a little rowdy. Book a room at the Tabard Inn, a historic and charming bed and breakfast offering a legendarily delicious brunch and gorgeous hidden garden. 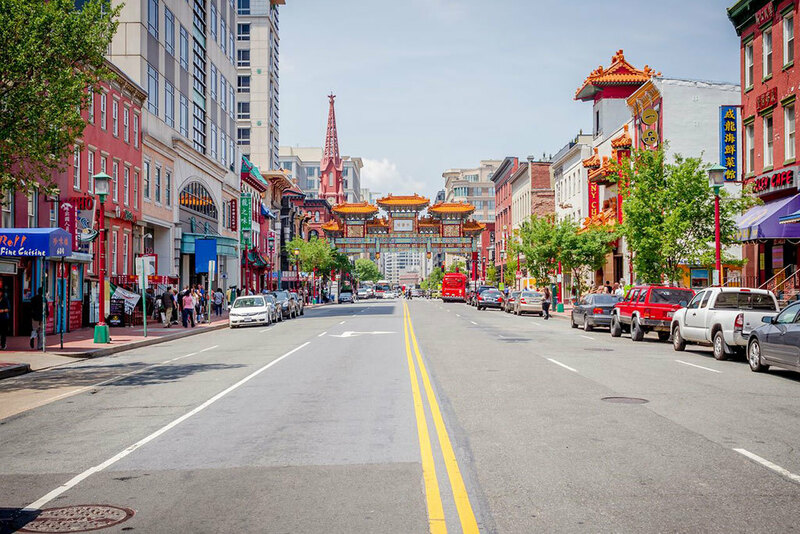 Chinese characters grace the facade of many businesses and hand-pulled noodles are within walking distance no matter where you are in Chinatown. It’s a colorful part of the city with a picturesque arch at its entrance that promises prime photo opps. 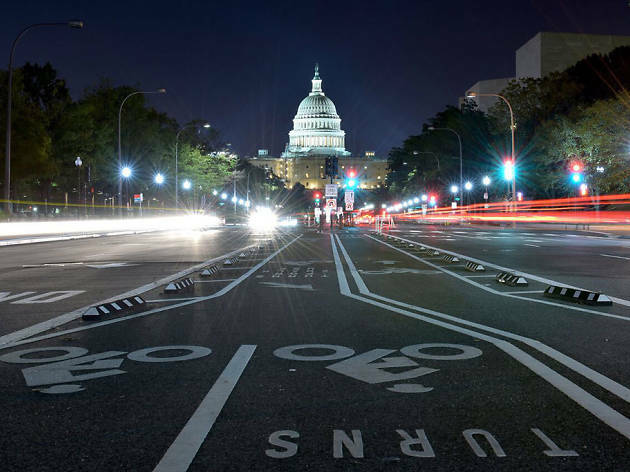 You’ll be nearby some of the city’s best art museums, including the National Portrait Gallery and the Smithsonian American Art Museum. Nightlife can be a bit lackluster and, when there’s a sporting event or concert at Capitol One Arena, the crowds can get a little rowdy. Consider the Pod DC Hotel, an affordable hotel with a swanky whiskey bar in the basement and a modern diner on the rooftop. 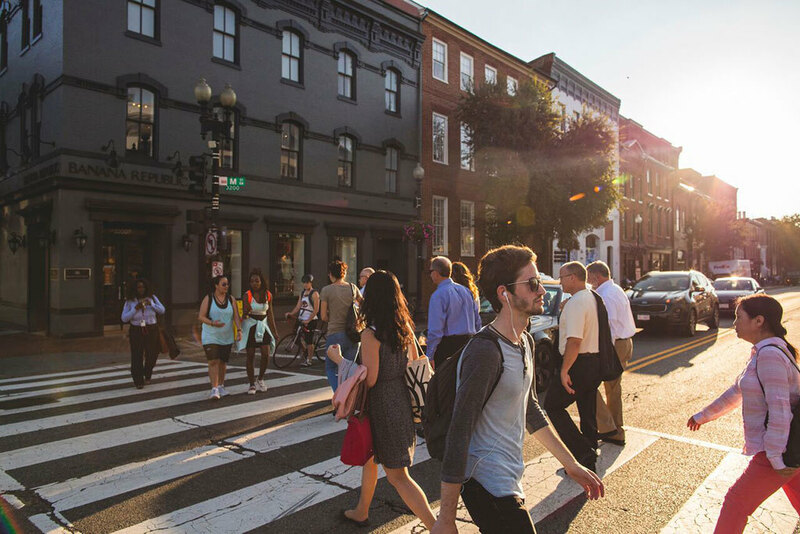 The neighborhood is home to one of the city’s biggest draws—a concentration of Smithsonian Institution museums. Our top pick is the National Museum of American History, where you can see Dorothy’s original red slippers and a replica of Julia Child’s kitchen. 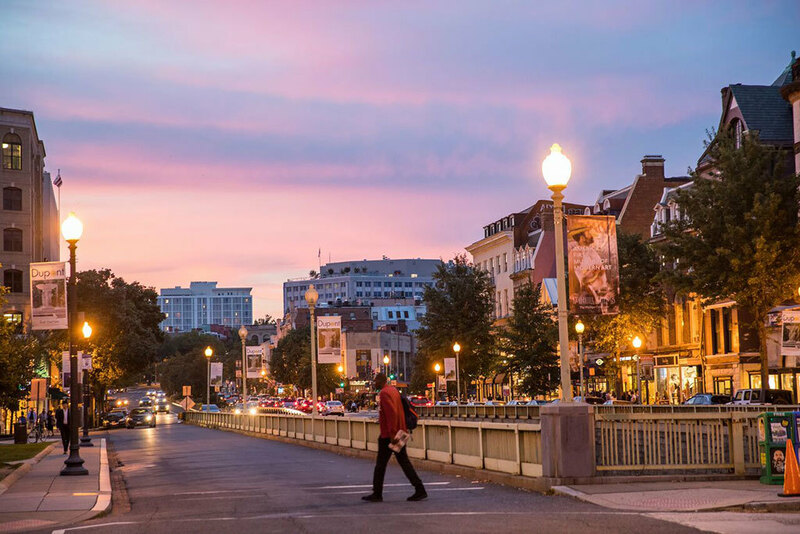 You’re smack-dab in the middle of D.C.’s cultural epicenter. This part of town tends to die down in the evening, and restaurant options are sparse. The W Washington D.C. is a great option. You’ll be able to gaze at the White House from the swanky rooftop. 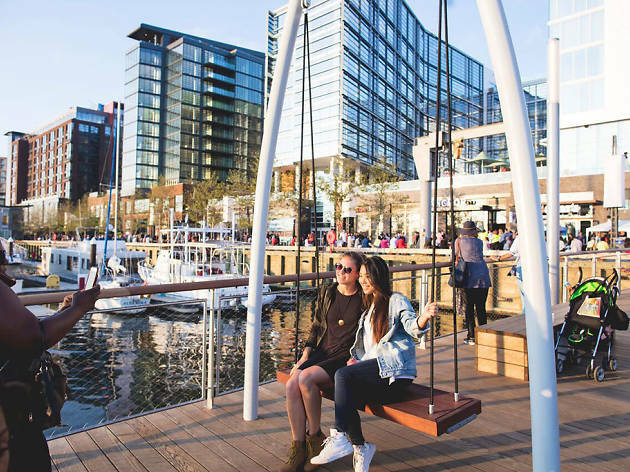 The water-facing neighborhood seemingly sprung up overnight and offers a top-notch selection of restaurants helmed by the who’s-who of D.C.’s dining scene. It’s a year-round playground boasting impressive music venues and more. The restaurants. There is no hipper dining scene in all of D.C. The Wharf lies on the city’s outskirts, so getting to other parts of the city can be a challenge. Also, the relative youth of the developments shows in a seeming lack of character. Call up the InterContinental, a high class hotel that is home to Kith and Kin, an Afro-Caribbean restaurant from Top Chef’s Kwame Onwuachi.